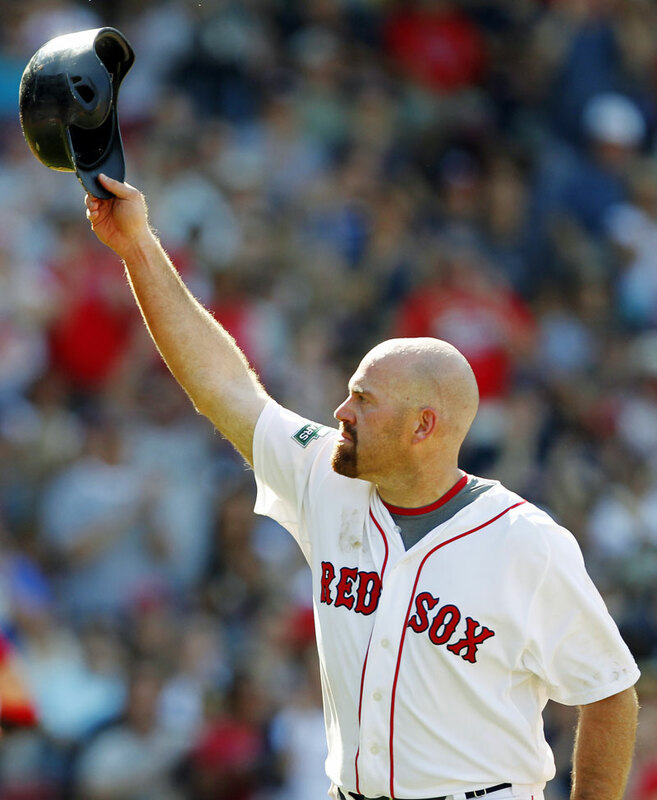 NEW YORK (AP) -- After spending 8 1/2 years in Boston and delivering a pair of World Series titles to the Fenway Park faithful, Kevin Youkilis was surprised when the New York Yankees expressed interest in fitting him for pinstripes. NEW YORK (AP) — After spending 8 1/2 years in Boston and delivering a pair of World Series titles to the Fenway Park faithful, Kevin Youkilis was surprised when the New York Yankees expressed interest in fitting him for pinstripes. A three-time All-Star, Youkilis becomes the Yankees’ starting third baseman for at least the first half of next season while Alex Rodriguez recovers from hip surgery. A-Rod’s operation is scheduled for next month. While announcing the deal for Youkilis, the Yankees closed in on a $13 million, two-year contract with outfielder Ichiro Suzuki, according to a person familiar with the negotiations. The sides still had to finalize language and the deal will be subject to a physical, the person said, speaking on condition of anonymity because the agreement was not complete. Suzuki will get $6.5 million a year. Youkilis, traded from the Red Sox to the Chicago White Sox in June, joined Babe Ruth, Wade Boggs, Roger Clemens and Johnny Damon as Boston players who made the switch to the Bronx in the heated rivalry. He’ll get an early look at his old club: The Red Sox are set to open at Yankee Stadium on April 1. “I reached out to Johnny. He just said you’re going to love the experience. It’s a great place to play,” Youkilis said. But Damon also has felt the wrath of Red Sox fans. “He’s had a hard time in Boston. I saw him the other day. It’s kind of upsetting to him, the fact that they’ve been pretty rough on him,” Youkilis said. He also plans to speak with Yankees reliever Joba Chamberlain. The pair feuded in the past over tight fastballs. Chamberlain left Youkilis a voicemail this week, but they haven’t spoken. If and when Rodriguez returns, Youkilis figures to see time at first base backing up Mark Teixeira. He also could get some games at designated hitter. Rodriguez, who turns 38 in July, will have surgery in mid-January, and the Yankees said the anticipated recovery time is six months. Rodriguez is owed $114 million by the Yankees as part of his record $275 million, 10-year contract. To make room for Youkilis on the 40-man roster, the Yankees designated left-hander Josh Spence for assignment.